Barbara Brown Taylor, in her book Speaking of Sin, tells about a Lebanese Presbyterian classmate of hers in seminary. This guy threw, what she called, a “theological temper tantrum.” “All you Americans care about is justification!” he howled. “You love sinning and being forgiven, sinning and being forgiven, but no one seems to want off that hamster wheel. Have you ever heard of sanctification? Is anyone interested in learning to sin a little less?” James would agree. That’s what his Epistle is all about. In our reading today, as we continue to work through this book, James is concerned with our language. We’re all heard that childhood ditty, “Sticks and stones may break my but bones, but words will never harm me.” And, I’m willing to bet, all of us have been harmed by words. Words hurt. They break friendships and families and can lead to wars between nations. I’m sure all of us have felt sucker-punched by what someone said about us at one point or another in our lives. Words have the potential to bring about great harm. We’ve all been shocked this week by the shooting at a congressional baseball practice. Such is an example of political rhetoric out of control—something that all sides are doing. When we carelessly use language about our opponents in a way to gain a political advantage, we take a great risk. Although such language may be meant metaphorically, the hate builds up in us and in others. As the pressure increases inside us, sooner or later we may explode and do something irrational. Or, someone listening may take what’s said literally and act. Another shocking event this week the court case in Massachusetts of a young woman who had encouraged her boyfriend to commit suicide. She was found guilty of involuntary manslaughter. Her defense was partially built around him having talked about suicide for some time. But she had egged him on including telling him, via text message, to get back in the truck as it was filling with carbon monoxide. One law professor noted that this ruling reminds us that the “behavior we sometimes attribute to odd teenage behavior can actually be so extreme that it’s homicide. 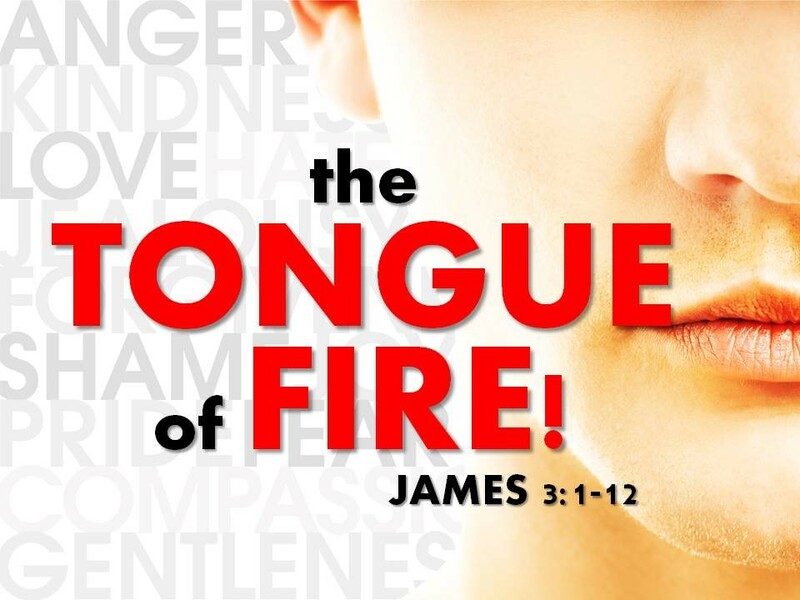 James reminds us that we need to watch our language and control our tongues. 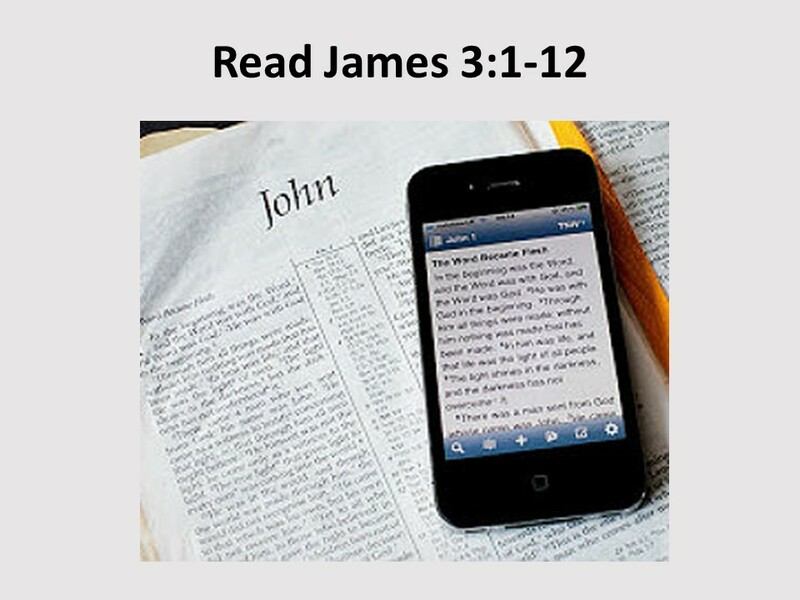 READ JAMES 3:1-12. Do you get the idea that James thinks we have a problem with our tongues? Yeah? It is so easy to see the sins of others. 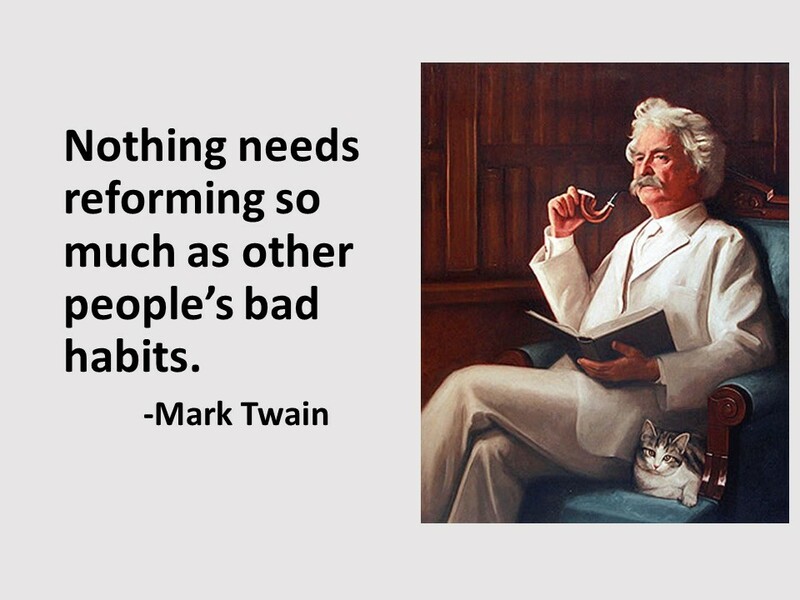 Mark Twain nailed human nature when he proclaimed, “There’s nothing that needs reforming so much as other people’s bad habits.” Before we start in on other people’s bad habits, we need to confront our own. Remember, Jesus said to take the log out of our own eyes before we try to remove a speck from the eye of another. Today we’re looking at a sin of which we’re all guilty. 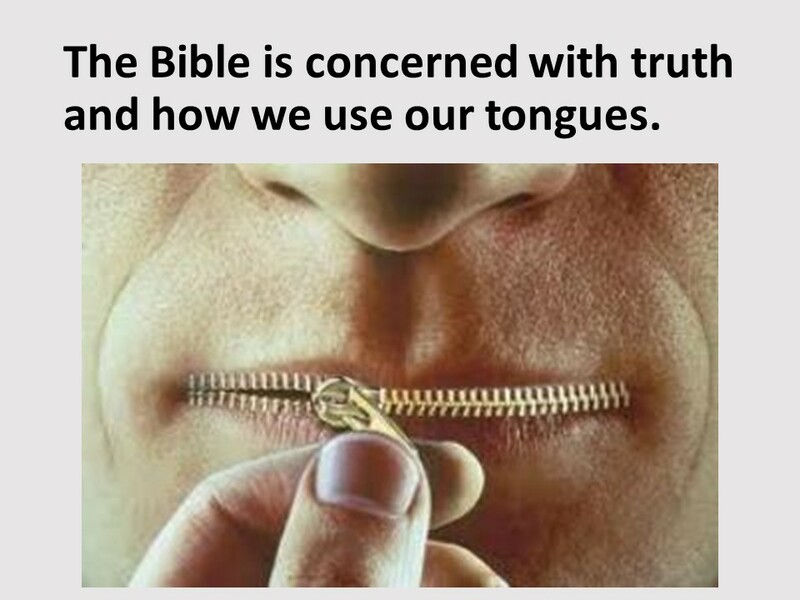 The Bible is concerned with truth and with the control of our tongues. One of the commandments is “Thou shall not bear false witness…” Jesus told his followers at the Sermon on the Mount, “say yes or no, anything more comes from the evil one.” Many of the Proverbs, as we read earlier, extol the virtue of honesty. We got to be careful with what we say. Outright lies are condemned, but so are idle words that create disharmony. 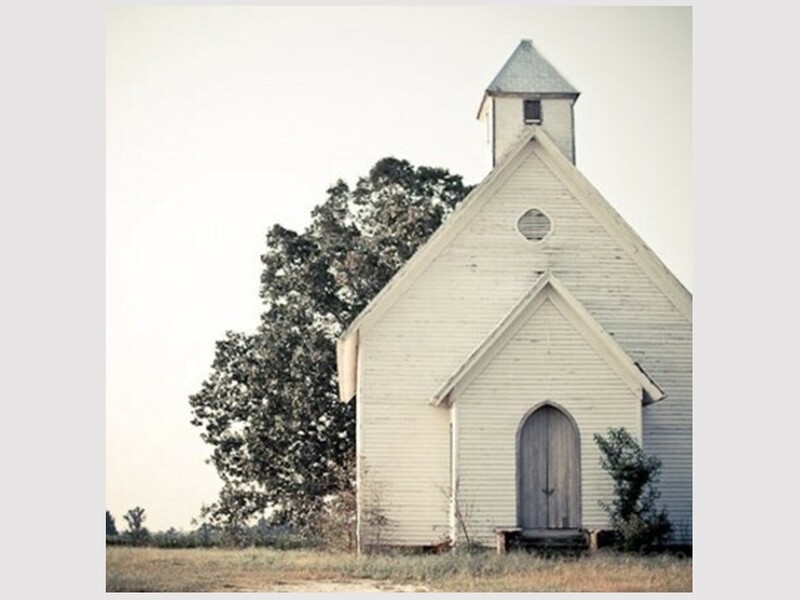 Our passage this morning begins with a concern James has for those who are teachers. James advises that many should not become teachers because teachers will be judged more severely. James must not have had the problem of recruiting Sunday School teachers! This isn’t a normal method of advertising for a teacher— reminding them they will be judged more severely. But I don’t believe James is talking about teaching in general, but about the office of a preacher or a theologian. However, don’t think you’re completely off the hook. Remember, in a way we are all teachers. Have you ever considered this? Other people learn by what they see us doing. So don’t let this passage keep you from volunteering to teach Sunday School, Let instruct our lives. In a way our passage this week is similar to our passage last week. Last week, James began with a rhetorical question then moved into pairs of examples of good and bad behavior based on the question. 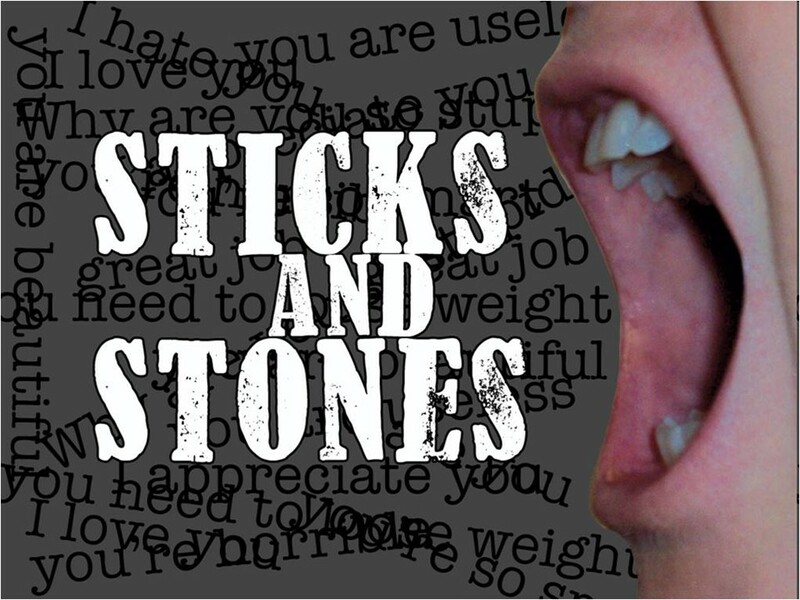 This week, James begins with a strong statement and, again, follows with several pairs of examples of how we might tame the tongue. He compares the tongue to a bit that directs an animal’s movements, then to a rudder of a ship, which, although small, can steer a great vessel. He also says the tongue is like fire which, although small, can blaze and consume a forest. Likewise, the tongue, which is certainly one of the smaller members of a body, is able to stain the whole body. 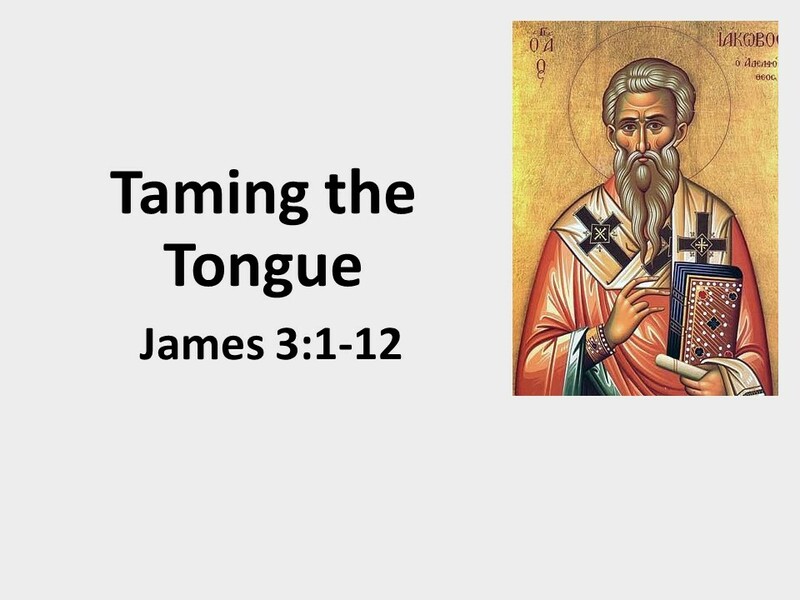 Yes, we can use the tongue, as James suggests, to glorify God, but we can just as easily use it to curse someone. It’s a tool that can be easily corrupted; it’s an organ that’s hard to tame, so we need to be very careful with our use of language, with our speech. We need to consider the impact our words have on others. Do we speak the truth in the love? Do we use our words to build up the self-esteem of others, or do we use them to tear others down in the mistaken belief we’ll look better? 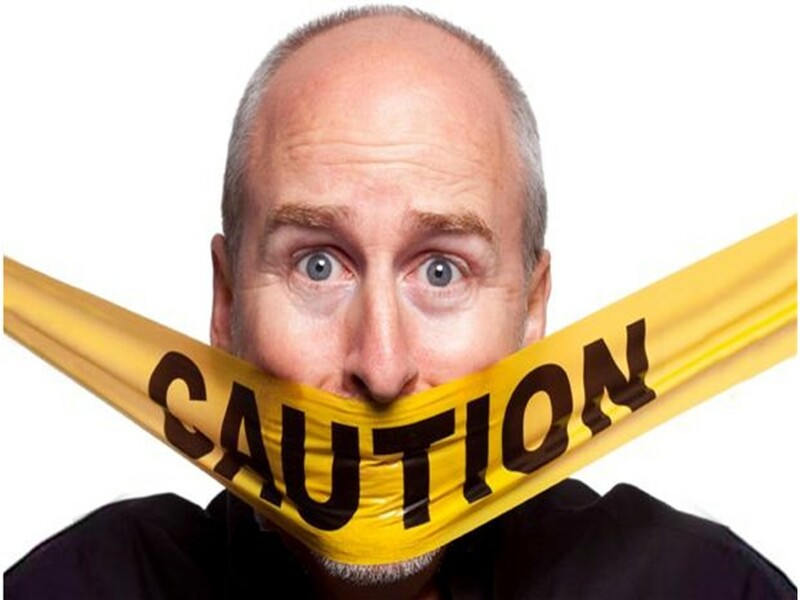 In a book titled The Peacemaker, Ken Sande outlines the variety of ways we, as Christians, participate in “sinful speech.” It can simply be the use of reckless words that we unthinkingly throw out when we’re angry or confronted with a challenge. Proverbs tell us, as we heard earlier, that “reckless words pierce like a sword.” We are not only to avoid deliberately hurting others, we are also commanded to make an effort not to hurt others in our reckless use of language. 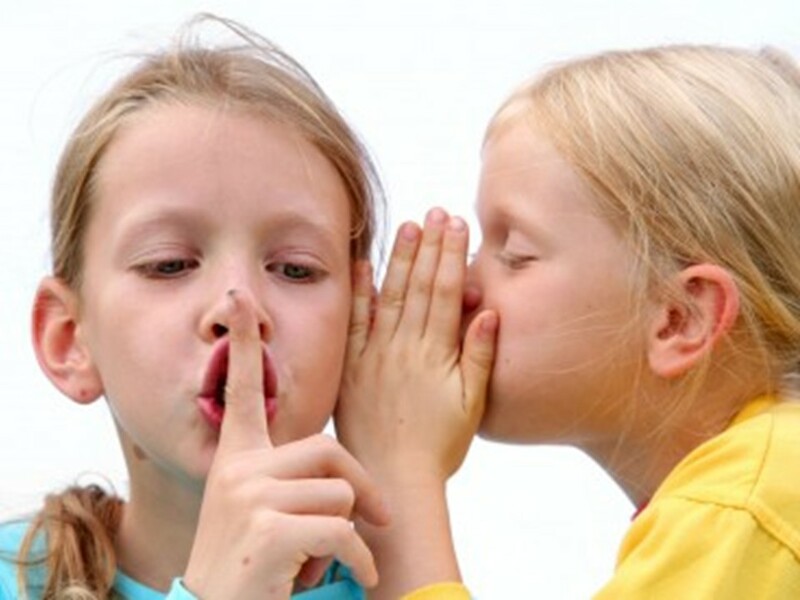 Another area in which an uncontrolled tongue gets us in trouble is with grumbling, complaining and gossiping. Such negative talk offends people and depresses others, especially when it serves no legitimate purpose. As Christians, we need to be lifting up one another, not tearing each other down which is what happens when we grumble, complain or pass on gossip. And we’re all guilty, myself included. Sometimes, the sinfulness that rolls off our tongues is done purposefully. Lying, whether a bold-faced one or the misrepresentation of the truth, is an example. Our system of justice depends upon telling the truth. Eventually liars have their day in court or they lose prestige and are no longer trusted, but until then liars can create a lot of destruction. Also in the category is slander, willfully spreading false ideas about another person. In Second Timothy, we’re told to have nothing to do with such people. As Christians, we need to be truthful and to control our tongues so our words are used to build up one another, not to tear one another down. We need to watch what we say. Remember that other people look to us, as Christians, and from our words and actions they develop an impression on what it means to be a disciple of Jesus Christ. 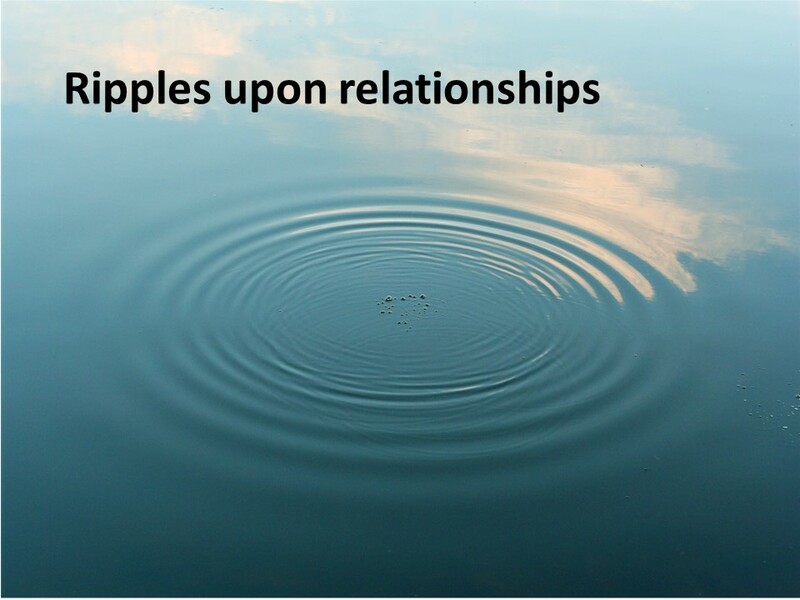 Think about our words creating a ripple through all our relationships… He’s saying, essentially, the same thing that James said. We must be careful and take responsibility. What we say and do affects how we’re connected to others. Every word and every action can be sanctified and used in a godly manner in that we become co-creators with God in the building up of his kingdom. Likewise, every word and every action can be demonized and used in a destructive manner, which puts us in alliance with that guy we envision with horns and a pitchfork. Before you say something that may be damaging, pray about it. Or before you write a letter in response to an issue that raises your blood pressure, put that letter in a draft file and come back to it in a day or two. This is the danger of instant messaging. We speak without thinking or without having all the facts. 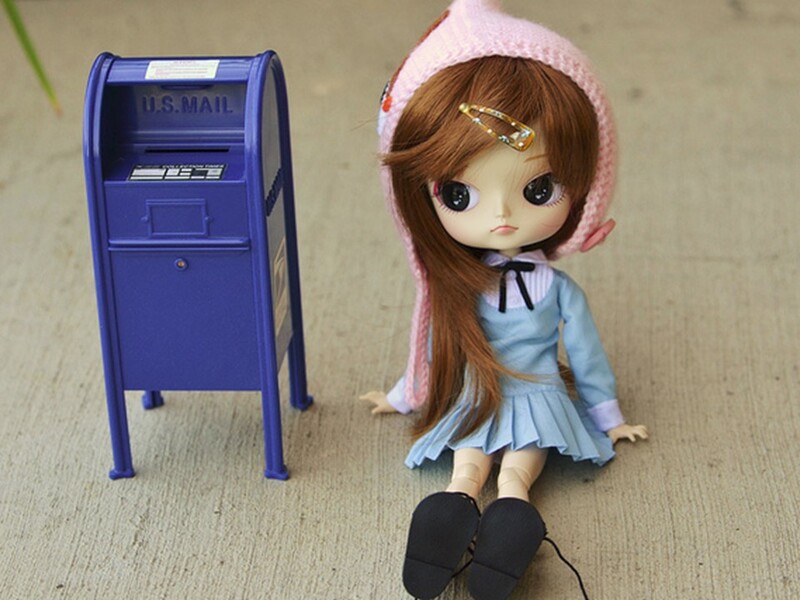 When you refrain from sending the letter immediately, you may find some edits you’d like to make. But if you mail it off, or send it out as a post, it’s too late. As James says, it’s like setting a forest on fire. You’re not going to be able to control it. By the way, I did this just this week. An issue with a group I’m a member of rose up. Even though it didn’t directly affect me, I was upset and wrote a letter. Others, too, were making statements in group emails. But I refrained from sending mine. It was a good thing. The letter I’d written sounded real good when I was hot. But when I thought about it and slept on it, I realized this fire didn’t need any more gasoline. Put away any letters you write when angry. Go for a walk or get a night’s sleep. When you come back, you just might see an edit or two that would be helpful. Whether writing letters, tweeting, posting blogs, commenting on Facebook, or talking face-to-face, we must seek to build up and not tear down. Amen. Barbara Brown Taylor, Speaking of Sin: The Lost Language of Salvation (Cambridge, MA: Cowley, 2000), 86. Exodus 20:16, Deuteronomy 5:20, Proverbs 12:17-22, Matthew 5:37. Ken Sande, The Peacemaker: A Biblical Guide to Resolving Personal Conflict (Grand Rapids: Baker, 1997), 94-97. Jack Kornfield and Christina Feldman, Soul Food: Stories to Nourish the Spirit and the Heart (SF: HarperSanFrancisco, 1996), 264.